Properties in Turkey average 4.7 out of 5 stars. Property 8: SPECIAL OFFER Spacious Ottoman style Apartment at the heart of everything. Property 12: Cosy with frescoes, terrace views in Galata! Property 26: Luxury Penthouse with rooftop pool, stunning sea views, 5 min stroll to town. Property 30: Apartment with Fantastic Sea Views, Infinity Pool and Free WiFi. If you can imagine relaxing under the olive trees sipping a Gin & Tonic! Property 32: If you can imagine relaxing under the olive trees sipping a Gin & Tonic! 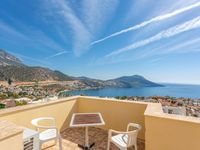 Property 34: Cactus 213 - top-floor apartment with beautiful views on 4 star resort. 4 pools. Property 45: Town Centre One Bedroom Apartment With Private Sun Terrace & 185m2 Shared Pool. A modern to bedroom luxury apartment, in a resort overlooking the Aegean Sea. Property 47: A modern to bedroom luxury apartment, in a resort overlooking the Aegean Sea.